BONTOC, Mountain Province – The provincial board approved an ordinance declaring sacred sites and worship areas in the different parts of the province as peace zones. The ordinance authored by Boardmember Tomas B. Tawagen, Sr. stated that sacred sites and worship areas where indigenous cultural communities and indigenous peoples of the province observe the practice of their customary rites should be free from encroachment, unwanted occupation and destruction and to be observed as peace zones and to ensure the use of development and protection plans formulated by the ICCs and IPs over the management of their sacred sites and worship areas. Tawagen argued that the measure was based on the active participation of the people of the province as the key to the attainment of sustainable development and the enactment and enforcement of laws concerning the protection and preservation of sacred sites and worship areas as peace zones shall be just and consistent with the laws of nature. 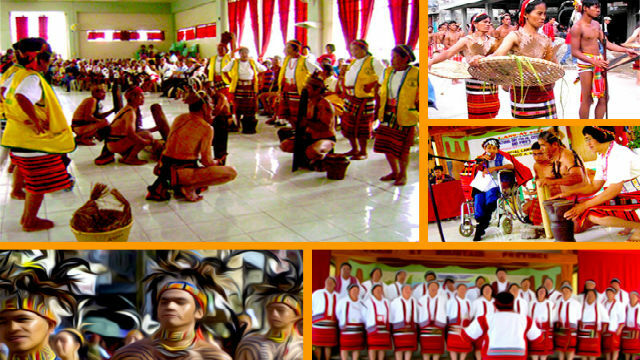 The ordinance added that it shall be a declared policy of the provincial government in partnership with the municipal governments, national government agencies and the private sector to enhance the quality of life of every e-Montanyosa consistent with the principles of sustainable development and responsible stewardship of God’s gift of nature; preserve the resilience of nature and respect the rights of religious, cultural rites and ceremonies. The ordinance stipulated that the ICCs and IPs of the province shall have the right to manifest, practice, develop and teach their spiritual and religious traditions, customs and ceremonies, the right to maintain, protect and have access to their religious and cultural sites and worship areas, the right to use and control of ceremonial objects, and the right to the repatriation of human remains without disturbance. Under the ordinance, violations of any provision of the measure to which no specific penalty is imposed or commissioned of any of the prohibited acts which do not carry a specific penalty shall be penalized in accordance with the customary laws of the concerned ICCs and IPs and that the penalty provided shall be in addition to the penalty that may be provided by any other law or ordinances, provided, however, that the prosecution or law enforcer shall charge the offender or violator with the law providing a heavier penalty in case it appears that a single act is punishable by two or more laws, ordinances and provisions with different penalties. Tawagen explained local government units shall take effective measures, in cooperation with the ICCs and IPs concerned, to ensure that sacred places and worship areas, including burial sites, be preserved, respected and protected and mong the prohibited acts include actions of private industries, government entities and community aimed at polluting the sacred sites and worship areas; action of any instrumentalities of the government, private entities, private armed groups and individuals in utilizing portions of sacred sites and worship areas as base camps; the clearing operation, excavation or digging of portions of sacred sites and worship areas of the ancestral lands or domain of the concerned ICCCs and IPs for the purpose of obtaining materials of cultural value; defacing, removal or otherwise destruction of objects which are of great importance to the ICCs and IPs and encroachment and privatization of sacred sites and worship areas.